The development team for H1Z1 has been reformed and the title rebranded to Z1: Battle Royale as developer Daybreak looks to get the title back "to its roots as the world's most competitive BR game'. Patch notes for H1Z1’s version 1.0 release went live last Wednesday revealing the intended name change and plans to prioritise new features. 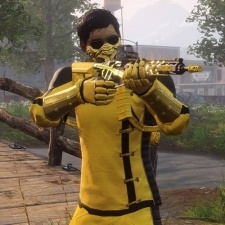 H1Z1’s battle royale element has been the most popular iteration of the game for a long time now and the move separates the competitive mode entirely from its beginnings in DayZ-style survival. That version, Just Survive, is set to shut down next month. We don’t know exactly how this “re-formed” development team has changed, but Daybreak has released a roadmap for future development, giving insight on the Z1: Battle Royale’ team’s priorities going forward. It’s likely the team is working with fewer developers, however, after layoffs hit Daybreak back in April. Even though H1Z1’s battle royale mode remains active, player numbers dropped 91 per cent from its peak in July 2017 by January this year. Other alterations arriving with H1Z1’s 1.0 launch include changes to matchmaking, letting games start with fewer players if a match doesn’t fill up within 135 seconds. The map will start with a smaller safe-zone depending on how many players the match begins with.